If you're still rocking the helmet you got when...well, you can't remember, it's time to toss it and upgrade already. 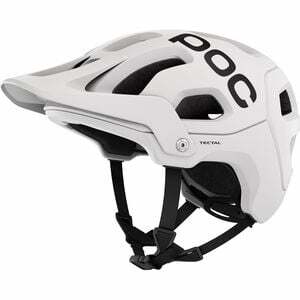 Like an of-the-moment boy band, helmets don't stay young and innocent forever, so replace it with something with adult worthy staying power, like the POC Tectal Helmet. Sure, it won't last forever either, but it's built with host of the most up-to-date technology by the safety-conscious squad over at POC to keep your gray matter safe when you decide to go big. POC took design elements from two of its most popular helmets to create the Tectal, creating a hybrid with the best features from each. Extensive coverage along the temples and rear of the helmet increases protection to vulnerable areas, while the helmet's unibody design lessens the amount of potential stress points along seams. POC gives considers comfort almost as much as it does safety, and it carved out a range of vents along the Tectal to ensure air stays moving throughout the helmet. Before you head out, a simple one-handed turn of the dial at the back of the helmet allows you to adjust for just the right fit.